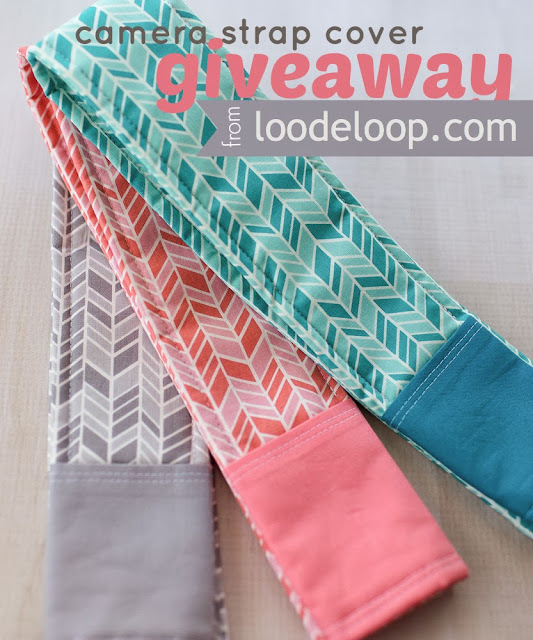 In celebration of the start of my blog I think a GIVEAWAY is in order! I mean, you like free stuff, right? I will be giving away one organic cotton herringbone camera strap cover in the color of the winner's choice. Camera strap covers were the first thing I sold in my Etsy shop beginning in March of 2012. They are such a fun way to dress up your camera and give it some extra padding, too. These fit most Canon and Nikon DSLR cameras covering the widest part of the strap. Entering is simple. Leave a blog comment and you're in! There are bonus entries available, too. A winner will be randomly chosen on November 14th. So, enter now and tell your friends! This contest has ended. Please check back for more giveaways in the future. Congratulations, Heather M.! Please check your email for details on how to receive your Organic Camera Strap Cover. And thanks to all who entered! I LOVE the grey and I shoot with a Nikon :) TY!! Blue for me and I shoot Nikon! Love this! I would love a colorful camera strap for my Nikon! Oh yea... And I have a Sony A330. I would love the gray one and your site looks awesome! I love all of these, but especially the blue! And I shoot with a canon. Yay, fun giveaway! I shoot with a Canon. I use a Canon camera! I love the teal! So cute! My current camera is a Panasonic Lumix. I shoot Nikon and would love to win a strap, thank you! The grey is super cute!! This'd go to my mom if I won. We both shoot Canon!